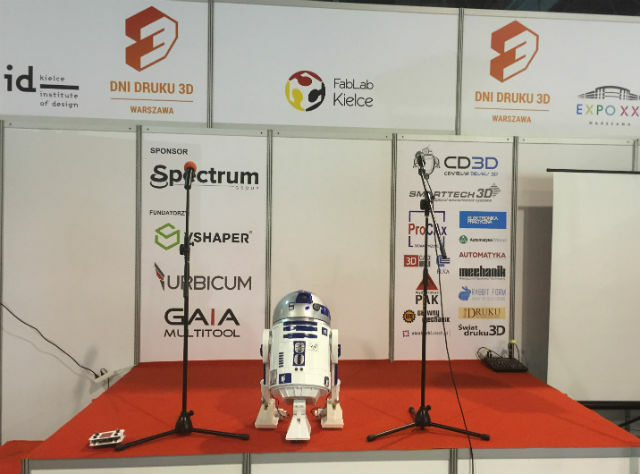 A robot supported by TME opens the 3D Print Days! 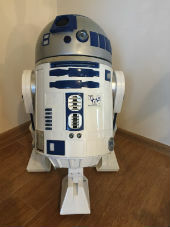 R2-MM was built with the use of a 3D printer. Interestingly, it is remotely controlled by a device that was also printed. theme. The event took place on 29–30 September 2016. R2-MM’s looks refers to the saga. Due to the capabilities of the printer, the scale of the model against the original is 0,8. 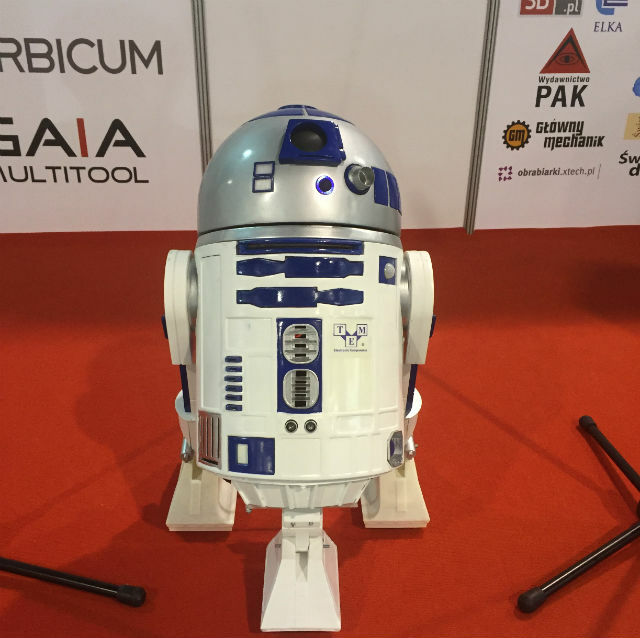 Creating the robot required more than ten kilos of filament (ABS), and the only non-printed components are obviously its mechanical and electronic parts. It can play sounds, emit lighting signals, and turn its head. It can also move, or more precisely – drive. R2-MM features the Free Run function, which allows it to interact with the surroundings, move around obstacles, and respond to movement and sounds. However, for the builder, Mr Marek Majkowski, this is still not enough, and his robot gains more and more capabilities. We wish him a lot of new ideas and numerous successes!